We had an amazing week to report last week with 6 properties sold or under contract. Most of our readers love seeing the properties that are selling because that gives them a great feel for how the market is performing. And almost all of these properties were featured when they were first listed, so everyone has an equal opportunity to get one! There were a couple of people who let us know that they want to see more available properties in our note, so our new policy is to show at least 5 active properties every week. And in case you are not aware, SpotOnTheLake.com is one of the only agent websites that features every listed property from both the GA and SC MLS systems. Most agents only show listings from their primary MLS. So if you ever want to see more properties, you can see them all at SpotOnTheLake.com. You will need to provide an email address to set up an account if you haven't already, but once you do that, you should never have to login again from that device again. And if you are worried about giving us your email address, we already have it if you got this note from us. 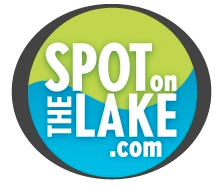 Please keep the feedback coming on how we can best help you find your spot of the lake.